Anyways, as a family we're heading off to San Diego today! I'm so excited and I know we'll be busy playing mostly, but we do have a 10-hour road trip ahead...sooo, I've been busy preparing some hand work to take along. Applique is perfect for a quilter on the go! I was involved in a block exchange in my quilt guild last year. We made 9-patches, 4-patches and economy blocks over the span of 9 months or so (?). The colors were browns, pinks and blues. With my 9-patches and some squares of muslin I made 13 large blocks [in a 9-patch setting]. Since the 9-patches used "shirtings" for the lighter color I thought this would keep with the old fashion look. I knew I really wanted a lot of applique on this quilt, so I've been preparing lots of flowers and leaves using the freezer paper method and my bias tape maker to make vines. This quilt is very scrappy so I'm bringing with me an assortment of thread colors to do all of the hand applique. I am not a big hand quilter, but I think this style of quilt definitely merits it so I'm gearing up for a long-term project. 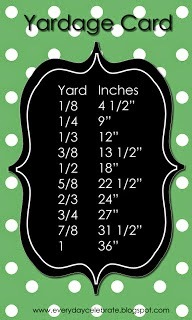 Any thoughts on what design to use for the hand-quilting or tips on how to get it ready to quilt? I've thought of doing echo quilting around all of the applique but I am a little scared of that undertaking. I would love to hear your advice! looks great and how ambitous of you. I can't help you with the hand quilting pattern. check out Bonnie Hunter's website quiltville.com for some inspiration. Beautiful applique beginnings! Echo quilting is a good idea, I think. Enjoy San Diego, but it's hot out here! At the chance of sounding a bit DUH! What are economy blocks? That quilt is going to be absolutely gorgeous! I love the colors and fabrics together and your appliqué is so pretty! For you hand quilting, I saw this: http://mrssewnsew.blogspot.com/2010/07/new.html and thought it was absolutely gorgeous! It might work well with your design. Good luck and have a really fun trip! Enjoy your trip, be safe. Enjoy your journey and yes I thought of echo quilting too. I would not be one to attempt it, though I have complete faith that you will do a wonderful job at it! I would embroider tendrils to trail from the leaves towards the centre of the block, then I think I would simply quilt with cross hatching. Have fun in San Diego! Have a great holiday. Its got the makings of a wonderfully yummy quilt. Your applique looks like the perfect addition to those blocks. Your applique blocks are really pretty! I like the idea of the echo quilting! It will accentuate the applique. Hope you have a GREAT time on your trip to San Diego. Be sure and take time to stop at some fun quilt shops along the way. I love what you are doing with the group 9-patches. The echo quilting is going to be perfect! 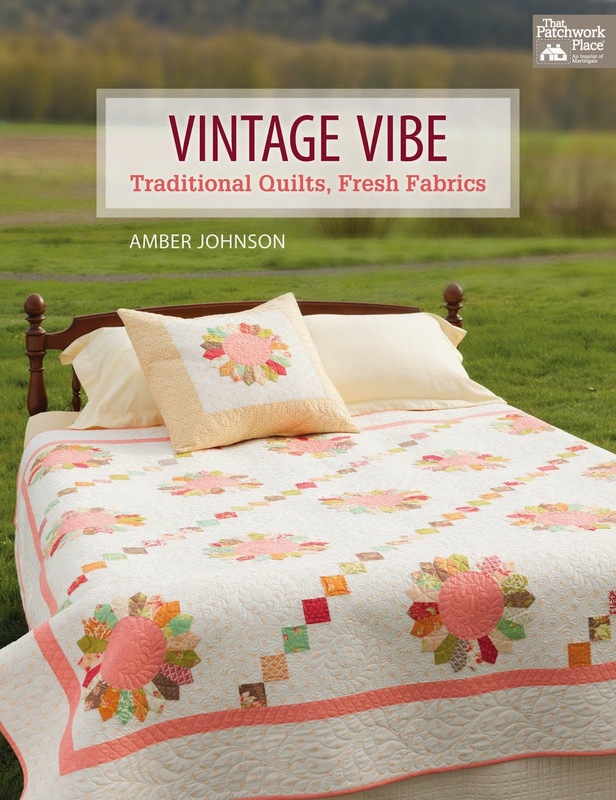 Amber, I love this quilt and the applicque is so cute. I am so impressed that you want to hand quilt this one. My favorite quilt was one I did echo quilting around the applique and a one inch cross hatch grid on the rest. I thought it would take a long time, but I really enjoyed it. 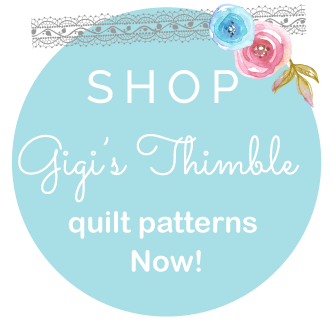 When you are ready, e-mail me as I have a little trick that saves time with hand quilting. Obviously I don't have any technical advice, but I LOVE hand-quilting. I think it just looks so vintage and original. It's going to be a keepsake for sure. P.S. I was DYING LAUGHING reading about your hair and thumb cutting incidents. It must have been quite the cut to require stitches. I personally would have liked to see pictures of the wound. :) Hope you're feeling better and having fun on the beach!! 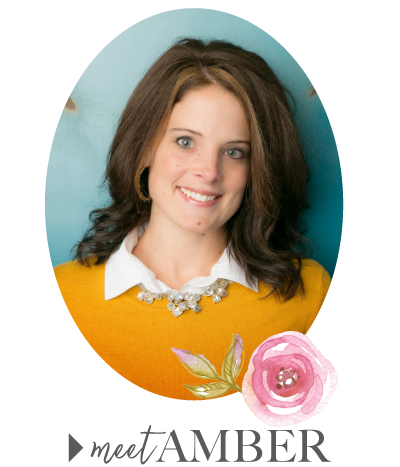 Amber, wanted you to know, I am having a giveaway this week to celebrate my 100th post. This is going to be great. I love it so far. what a beautiful beginning! Can't wait to see it all together! lovely. I've had fun catching up on your blog. I'm excited to see your vacation pictures. I brought my zig zag quilt to the guild on tuesday, I just forgot to show you. sorry. Have fun in Washington! We will have to get together and sew when you get back.